On the 21st December 2013 in Big Bear, California, ski enthuasist Andreas Weaver set the record for the most fingertip pull-ups while wearing skis when he set a record of 13 during a holiday to improvise a workout while skiing. 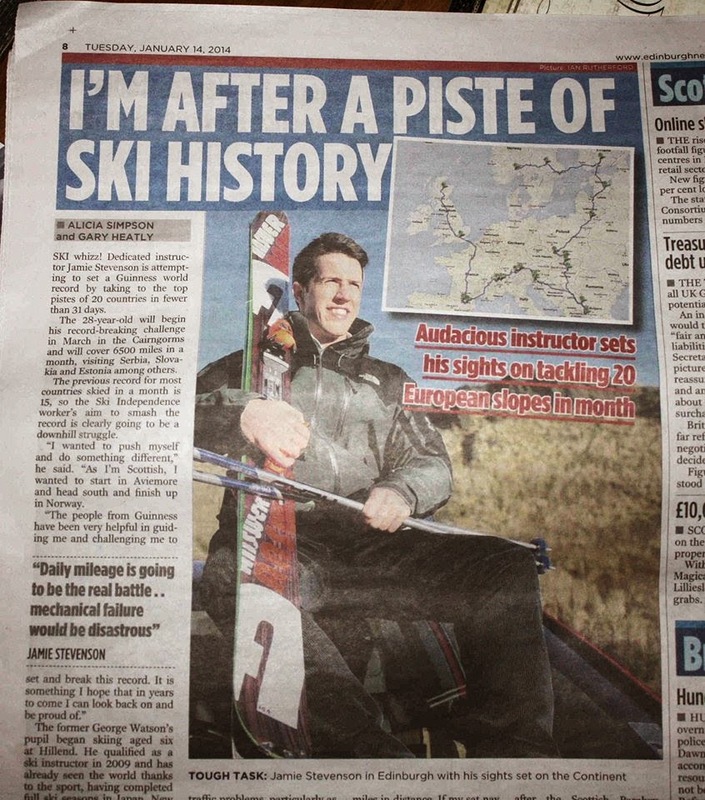 On March 21, 2014 in Riddarholmen, Stockholm, Jamie Stevenson set the record for the most countries skiied in 20 days in order to raise money for Disability Snowsport UK. Covering most of Europe, Jamie even skiied in Spain during the challenge. Dina Mishev climbed 34,546 feet in 24 hours, a new world record. Using climbing skins, she repeatedly trekked up a 1502-foot trail, checking in with officials at the top off the trail, before skiing down and checking in with officials at the bottom. She did this 23 times in 24 hours. The record was set on February 8, 2009 during the 24 Hour Sunlight Challenge at the Sunlight Mountain Resort in Glenwood Springs, Colorado. On Mars Hill in North Carolina on January 8, 2008, experienced skiier Alex Kleinschmidt set a new world record using only one ski for 25.1 seconds. As most of us struggle to stay up on two feet, this record is certainly worthy of the praise it receives. Paul Schipper's skiing "streak" began in 1981 at age 57 and continued through until 2005 at age 81. 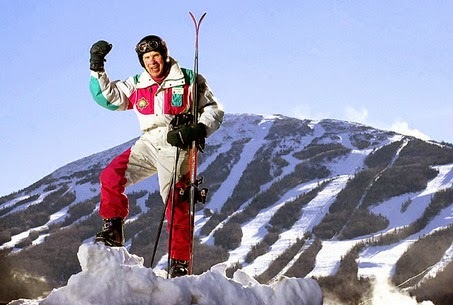 He skied every single day that Sugarloaf ski resort in Carrabassett, Maine was open for 3,903 consecutive days. He skied through bouts of cancer, pneumonia and near blindness in one eye. Sadly Paul Schipper, known as "The Ironman of Skiing" died on February 16, 2009 at age 85. Sugarloaf named a trail in his honor on April 4, 2005, by calling a section of the famous Narrow Gauge Trail as “Schipper’s Streak".